When browsing the farmer's market, most people skip over the pomegranates. But most wouldn't if they knew that this oxidant rich fruit which is high in vitamin k and zinc could lead to better, younger looking skin! This fruit which ironically, is one of the world's oldest fruit, can actually prevent premature aging. According to ancient chinese medicine, pomegranates have been used for longevity and keeping skin smooth. 1. Helps moisturize skin from the inside out. Pomegranates also have many health benefits especially for those with hypertension and diabetes. It helps to keep arteries flexible and lowers LDL cholesterol. Moreover, it helps to maintain blood sugar. 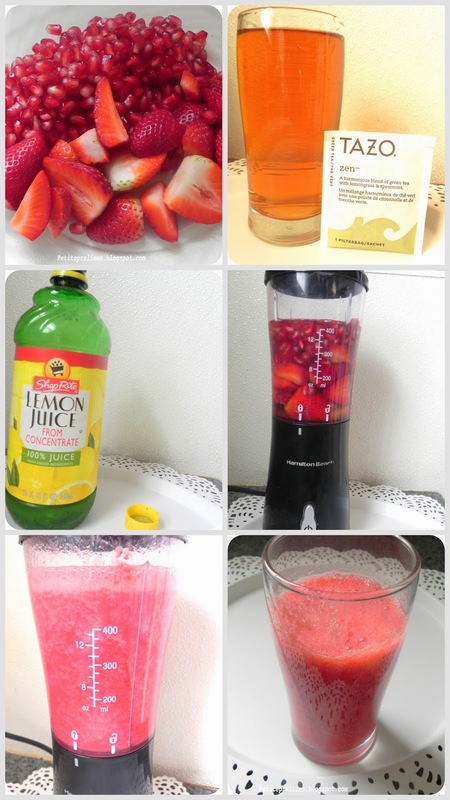 Here's a quick smoothie recipe to get some of this delicious fruit into your diet. 1. Add to blender and GO! ......Super simple and refreshing for a mid-afternoon snack.